Elena Urioste, recently selected as a BBC New Generation Artist, has been hailed by critics and audiences for her rich tone, nuanced lyricism, and commanding stage presence. 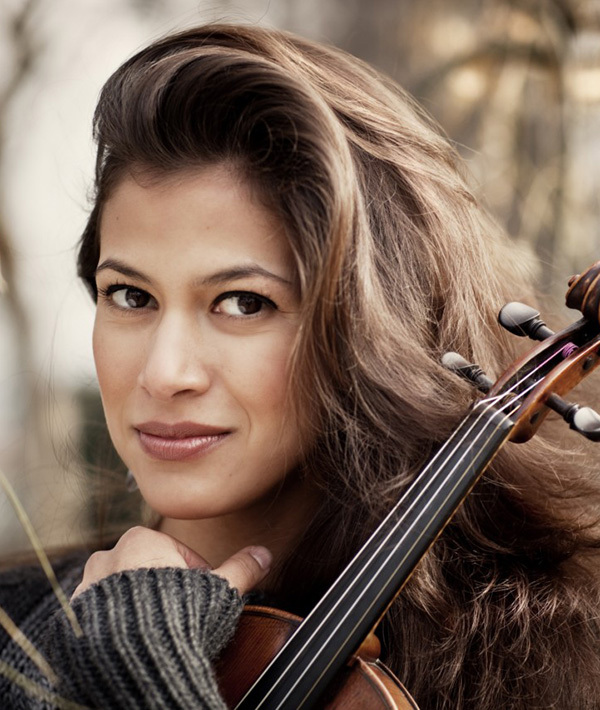 Since making her debut with the Philadelphia Orchestra at age 13, she has appeared with major orchestras in the U.S. and abroad, including the London and New York philharmonics; the BBC Symphony, BBC Philharmonic, and National Orchestra of Wales; the Cleveland Orchestra; the Boston Pops; and the Chicago, Atlanta, Detroit, Pittsburgh, and National symphony orchestras. Elena has collaborated with acclaimed conductors Sir Mark Elder, Christoph Eschenbach, Yannick Nézet-Séguin, Keith Lockhart, and Robert Spano; pianists Mitsuko Uchida, Dénes Várjon, and Christopher O’Riley; cellists Peter Wiley, Colin Carr, and Carter Brey; violists Kim Kashkashian and Michael Tree; and violinists Joseph Silverstein, Shlomo Mintz, and Cho-Liang Lin. She has been a featured artist at the Marlboro, Ravinia, and La Jolla music festivals, among others. Winner of Switzerland’s Sion-Valais International Violin Competition, a London Music Masters Award, a Salon di Virtuosi career grant, and the inaugural Sphinx Medal of Excellence, Elena has appeared on NBC’s Today Show, Telemundo, Performance Today, From the Top, and the Emmy award–winning documentary Breaking the Sound Barrier. Chosen by Latina Magazine as one of the “Future Fifteen,” she was featured in the magazine’s 15th-anniversary issue. Elena is a graduate of the Curtis Institute of Music, where she studied with Joseph Silverstein, Pamela Frank, and Ida Kavafian. She completed graduate studies with Joel Smirnoff at The Juilliard School.